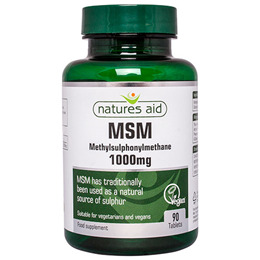 Natures Aid MSM contains 2000mg of MSM. MSM is a rich, natural source of organic sulphur. It helps maintain joint function by supporting cartilage, tendons and ligaments. Methylsulphonylmethane, Anticaking Agents (Silicon Dioxide, Vegetable Source Magnesium Stearate). 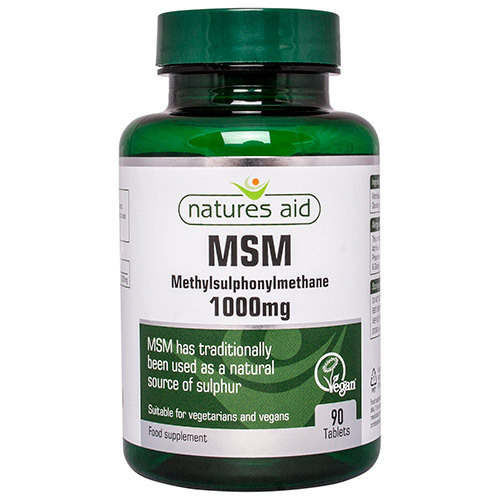 Below are reviews of Natures Aid MSM - Methylsulphonylmethane - 90 Tablets by bodykind customers. If you have tried this product we'd love to hear what you think so please leave a review.